It’s already the 6th day (年初六) of the Lunar year. Pardon my lack of entries for the past week. It’s not that I’m particularly busy, but I’m just too tired to come up with any new posts. Regarding the last two posts (here and here), it was an exaggeration of how irked I was to find ashes drifting into and dirtying my house after I have finished Spring Cleaning. I’m very pissed with these inconsiderate people burning kim zua. Not that I had anything against them, I respect all religions and their practices but can’t they exercise caution and common sense when burning kim zua? It was bad enough to find ashes on my window sill and on my bed during Lunar New Year Eve but having to find them back there again on the actual day itself is ridiculous! Can’t they place the burner somewhere in an open space which is not so near to the houses? 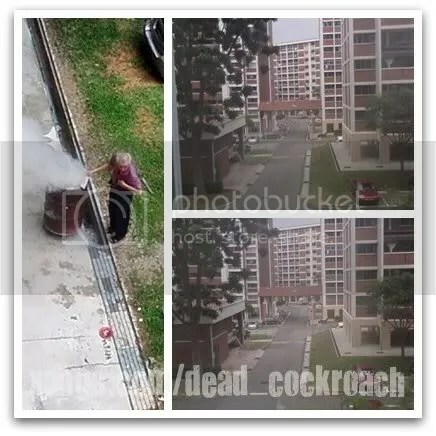 To burn kim zua right under someones’ window is plain selfish and inconsiderate! Anyway, during Lunar New Year Eve, I accompanied my parents to the Jurong East Market which has undergone a facelift recently. Renovations were completed and the stall holders have shifted back into the Market from the temporary makeshift stall. 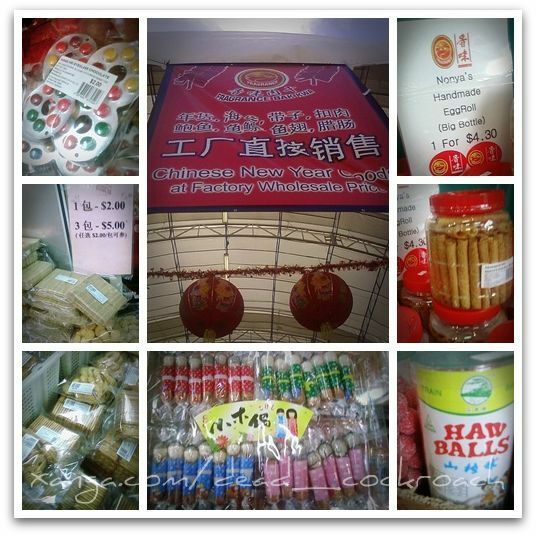 This entry was posted in Uncategorized and tagged angpow, cake, Jurong East Market, Kway Chup, lunar new year. perpetrator but try as they might, they simply couldn’t find any trace of the old man despite having searched through every inch of the vast land belonging to the young Prince. The young Prince awoke the next morning, and was annoyed that he couldn’t remember anything about it. He walked over to the window, half expecting to catch sight of the old man there again but to his dismay, he found MORE ashes on his window sill and the burner had even been moved to directly below his windows! “GUARDS!” he roared and the sounds of hurried footsteps rushed into the room. This entry was posted in Uncategorized and tagged ashes, brave man, choi sun, guards, old man. As the last dawn of the current lunar year climbed over the horizons, a young Prince stirred in bed, rudely awaken from his dreams by a disturbing smell. He rubbed his goggly eyes and realized that his room was filled with smoke! “Holy Tangerines!” he exclaimed as he nimbly leapt off his bed and ran towards the window to find out what is going on. The young Prince looked out of his window into his kingdom beyond and was distressed, trying to make out where the land of his reign lies which has been engulfed by the thick smoke that filled the air. As how all good fairy tales should progress, help came when the dark clouds parted, and a light shone down from above upon a burner not far from his palace. Suddenly, the wise young Prince was enlightened. “Which intelligent-sweet-pea-of-his-mother would place the burner near someone’s home?” the young Prince wondered as he stroked the hair at the end of the mole on his chin. Just at this moment, a movement near the burner caught the young Princes’ attention. A frail, old man was seen throwing something that looked suspiciously like kim zua into the burner before disappearing into the thick smoke. This entry was posted in Uncategorized and tagged burner, smoke, thick smoke. 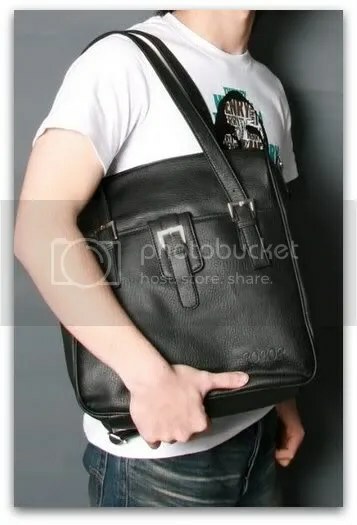 I’m looking for a men’s giap-under-the-armpit handbag. This entry was posted in Uncategorized and tagged bag, men, tote. With the imminent arrival of the Lunar Chinese New Year, the butterflies in my stomach seems to be fluttering around much more vigorously as the days goes by! I mean, I do like the ang pows folklore and the food traditions behind the festival but what I dreaded most about the festival was the visiting part and having to go through The Annual Interrogation. Don’t the aunties ever get bored asking the same questions from the ten-year series year after year? Sometimes, I may have to resort to pretending that I’m deeply engrossed in the TV show, (which has been recycled to death by Mediacrap year after year and THANK GOD for Animal Planet and NGC!) so that I could avoid eyes contact and ignore them. I still love the Lunar New Year! I am proud of my chinese roots and the traditional customs passed down by my forefathers. I love that warm and fuzzy feeling when the whole family gathered round the hotpot during the reunion dinner and I love all that red decorations around the house. I love the festive mood and I love all the food! I love everything about the Lunar New Year except maybe for The Annual Interrogation. Yes, the Lunar New Year will be a much happier festival for me if without The Annual Interrogation. This entry was posted in Uncategorized and tagged customs, Fesdtive, Festival, lunar new year, the annual interrogation, Traditions. If you haven’t noticed, my blog has undergone a big revamp! Not just the flash banner which you see up there, I have switched back to using Xanga Looks & Feel instead of Xanga Themes. If you’re not a Xanga user, you probably wouldn’t know what I’m talking about. I can’t add in Twitter, Widgets, or even codes to hide the stupid eprops thingy! URGH! I don’t understand if these things were allowed in Xanga Looks & Feel, why wasn’t it allowed in Xanga Themes? I’m not sure if Xanga Themes is still in beta stage but they Xanga Team is certainly taking a long time to fix things up. Then, my layout went haywire all of a sudden by itself and I wrote in for help before Christmas but till now when it’s almost Chinese New Year, there is still no reply from them yet! I’ve spent so much time and effort tweaking on that layout and they did this to me? I can’t bear to take another look at that hence I transferred most of the layout at Xanga Themes over to Xanga Looks & Feel. This entry was posted in Uncategorized and tagged Xanga Looks Feel, Xanga Themes.